Venetian Masks Venice is the venue for the world famous carnival and the Venetian mask is the much celebrated component of the carnival. The masks are made by the world renowned maskers who have inherited the techniques and expertise from their ancestors. The age-old art is preserved with its entire splendor by the present day maestros. 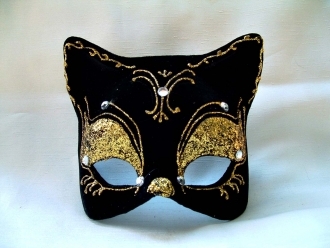 Our business: We have all kinds of spectacular masks in our collection. There are full face masks and half face masks. You can choose the one you fancy. The showy incas, arlecchino and colorosa masks let you have a reckonable presence in the carnival. 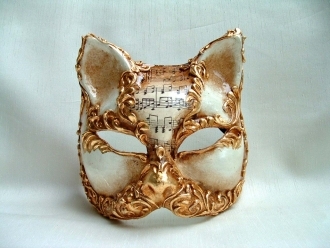 If you are a collector, some of our Venetian masks will greatly enhance your collection. We are proud to bring you these splendid creations without losing their original and ancient glory. You can be sure of the genuineness of the products. 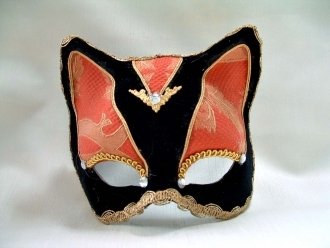 Each whimsically fashioned Venetian mask is handmade in Venice.